Our VoIP hosted telephone system can increase employee productivity, improve customer service levels and lower IT costs. Our cloud phone system also enables you to effortlessly link multiple stores, offices or restaurants together; allow employees to work together wherever they are in the world; and enable sales agents to use their business numbers to call and text clients directly from their mobile phones. With over 15 years’ experience of installing telecommunication systems for businesses throughout Kent and the South East, we have the knowledge and expertise to deliver a telephone system that meets our clients’ needs. Our reliable and inexpensive Voice over IP (VoIP) hosted telephone systems are becoming increasingly popular and are now the communication solution of choice for a growing number of technology-conscious companies – particularly those businesses that operate from more than one location or have remote workers who require a portable and flexible telephone system. Easy to install and use, our state-of-the-art cloud phone system is available wherever you are. Our hosted telephone system is designed for the way companies and people work in the modern world. It enables employees to stay connected to clients and work colleagues wherever they are working, on whatever device they are using – including smartphones, tablets, laptops, computers and desk phones. The ITS Hosted Platform is easy to set up and manage, and provides advanced phone, fax and text messaging capabilities as well as core telecommunication system features such as on-hold message and music, intelligent call routing, employee and department extensions, an advanced voicemail solution with email notification, and call auto-recording. With our feature-rich ITS Hosted Platform, you can move your phones to the cloud and benefit from a maintenance-free, hosted VoIP telephone system that can be set up quickly, easily and cheaply. Our cutting-edge cloud-based telecommunication system offers an extensive range of features and services that can be allocated to specific areas of your organisation without the requirement for investment in expensive telephone hardware. A sophisticated cloud phone system such as our ITS Hosted Platform is capable of seamlessly utilising other devices such as computers and laptops for placing and taking calls, forwarding voicemails to email and generally centralising your communication systems. Our hosted phone service also saves your employees time and enables them to be more productive. For example, if they are working on their computer and need to make a call, they can do so directly from their computer. Also, if they need to check their voicemail, they can do so while reading their email messages. A cloud telephone system is facilitated by centralised servers allowing a single-source connection for all your employees. As long as they have access to a broadband connection, they will be able to utilise the telephone system features wherever they are. The centralised system means that if you need to contact them or transfer a call to them, it is as easy as if they were in the next room. Conversely, if they need to call a client or colleague, the cost of this call is kept to a minimum or may even be free. 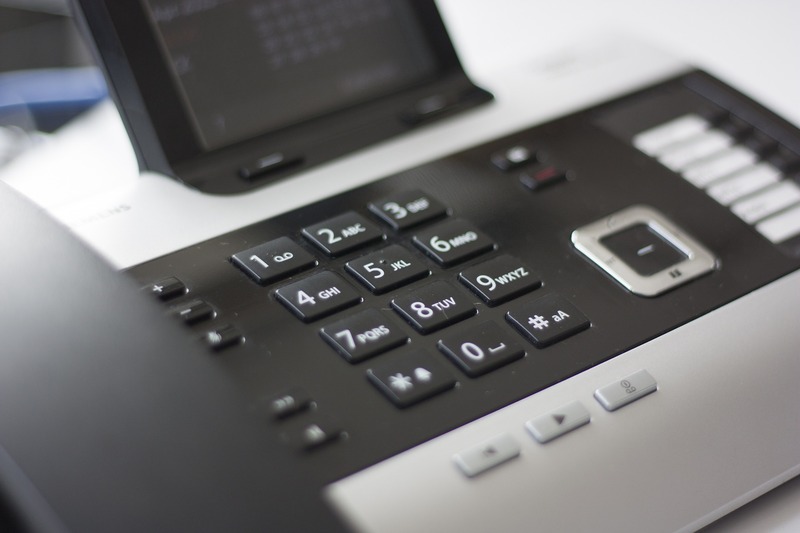 Users of our hosted telephone system also have access to a range of personal calling functions such as call forwarding, simultaneous ringing, click-to-dial and email integration. While old Private Branch Exchange (PBX) telephone systems have capacity limits, require frequent upgrades and are difficult to move to new locations, cloud VoIP telephone systems do not present such problems. Additional users can be added as and when they are needed quickly, easily and seamlessly. There is no need to estimate how many employees you think you will have over the next few years and you never have to be concerned about outgrowing your telephone system’s maximum capacity. Plus, as you only pay for what you need the cost saving benefits can be enormous. A cloud-based telephone solution can also integrate seamlessly with mobile devices such as smartphones, tablets and laptops. This means that even if you are out of the office, you can still make and receive business calls using your main business telephone number on your mobile device. For companies that employ external salesmen, this has the added benefit of enabling sales agents to call or text clients on their way to a meeting using the company’s business number on their personal mobile devices. Traditional PBX telephone systems can be expensive, the installation can be complex physical cables and wires may need to be installed throughout the building. The time and cost of installing hosted PBX phone systems is significantly lower, and the only up-front capital expenditure is for the actual phones the employees will use. With traditional desk phones, companies had to estimate long-term usage and ensure that enough telephone lines were installed in order to accommodate growth, which often meant paying for lines (and maintenance on them) that went unused for long periods of time. With our ITS Hosted Platform, setup and programming costs are far less in comparison, and you only pay for the lines you actually need. The convenience, cost and features of our hosted telephone service would not count for much if our service was not reliable, which is why reliability and performance are at the core of everything we do. As our hosted telephone systems are run from the cloud, if an active server goes down then system is instantly connected to a working resource. This change can happen so quickly, you and your customers may not even notice. Furthermore, there is no need to have an IT expert on site to maintain your cloud phone system. If there is a problem with the service, we can resolve the issue from our location, providing continual service and peace of mind. ITS Hosted is a flexible way of managing voice communication within your business. Each user or extension can have a feature set that suits their individual requirements. We offer a wide range of pre-packaged, cloud-based options and can also provide a bespoke licence based on requirements. The cost of a single user starts at just £7.70 + VAT per month. For more information or a quotation for our hosted telephone system, please email us or call 0800 316 2970. You control who has what, and where. For more information about the supported telephones we offer, including Panasonic phones and NEC telephone systems, please get in touch. Based in Tunbridge Wells, Kent, Invicta Telephone Sales Ltd can provide a full Voice over IP cloud phone system anywhere in the south east and all over the country. Our hosted telephone system is at the forefront of cloud-based telecommunications technology, and we are a market leader in providing reliable, cost-effective cloud communication solutions for businesses large and small.